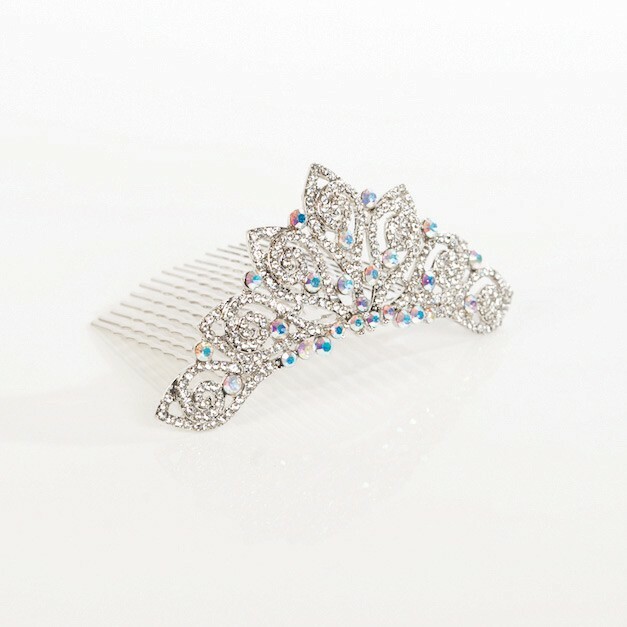 This crystal tiara comb is a elaborate pattern of mini leaf swirls AB and clear Swarovski crystals. 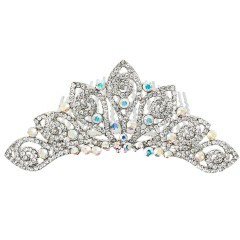 This crystal haircomb tiara is a beautiful alternative to a traditional tiara. 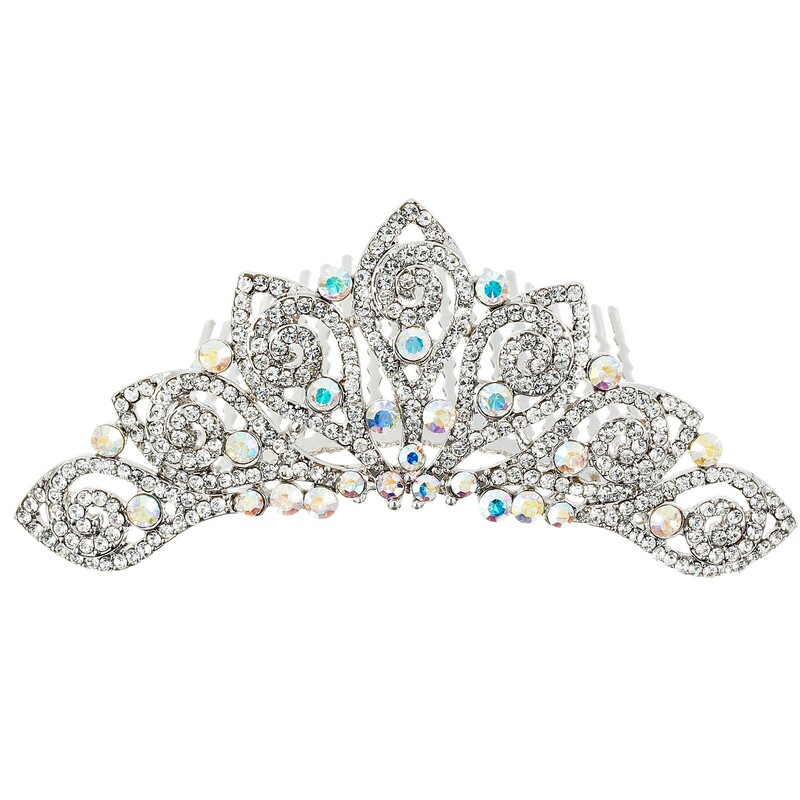 This tiara is smaller than the conventional tiara with the length being only 100mm and 37mm high on the highest point of the tiara. 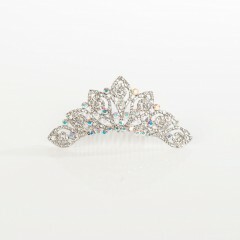 A great tiara with a hair up hair style or a side sweep chignon for your big day! The actual comb is 60mm in length and 50mm wide. 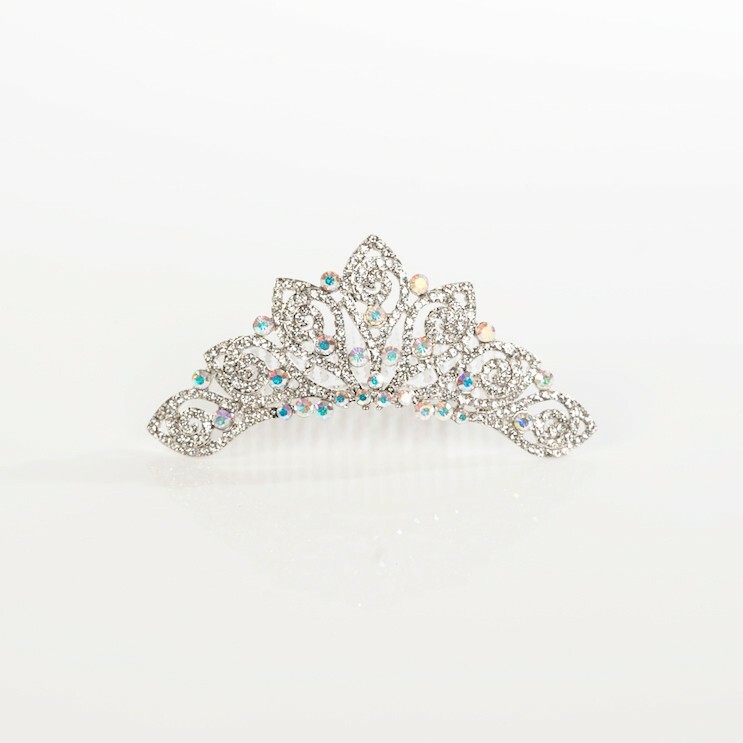 Presented in a Gemini Jewellery gift box.